Watching TV can take years off your life, warns the Telegraph. Indeed, every hour you spend slumped in front of the box reduces your life expectancy by 22 minutes. That's in addition to the hour of useful life you've just lost. That works out as a full five years if you watch six hours a day. How, precisely? Does the box emit carcinogenic rays? Does a diet of reality TV and gameshows induce slow brain deterioration that ends up with you just losing the will to live? (Which, if you are watching six hours a day, would scarcely be a surprise.) Should you be messing about on Twitter instead, like I do? There's "research", of course, to back up this patently absurd finding. But it doesn't reveal how an hour's television can reduce your life by that suspiciously exact 22 minutes. Nothing so dramatic. The research - from the University of Queensland - merely compared the mortality rates of Aussies who spent their lives on a sofa watching Neighbours (or perhaps the cricket) and those who had "more active lifestyles" (perhaps playing cricket). 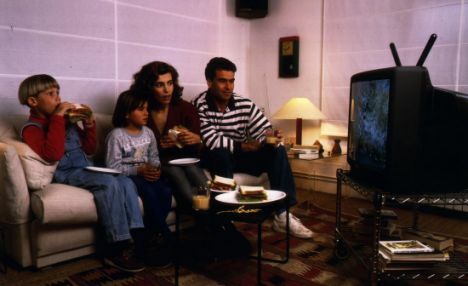 TV watching was an example of "sedentary behaviour". After doing some sums, the researchers "worked out that every hour spent glued to the screen shortened life by 21.8 minutes." The "top" 1 per cent of the population? So TV doesn't kill you, or even reduce your life expectancy. It's just that more active people tend to live longer. This might be because they take more exercise. Or it might be because the sort of people who don't have time for TV are healthier in other ways. Television watching is a class signifier, because it's cheaper than going to the theatre in the evening; and wealth is positively correlated with life expectancy, even in Australia. Of course, exercise is probably good for you. But it is only one factor. Anyone who spends six hours a day watching television is likely to have an unhealthy lifestyle, or to be unemployed. Perhaps couch potatoes smoke and drink more than compulsive joggers. On the other hand, a report on the same page claims that "as little as 15 minutes a day of physical activity can reduce the risk of dying by 14 per cent and increase lifespan by three years." Three years! That's equivalent to 3.6 hours less telly. Easy, then. Just do five minutes exercise for every hour's TV, and you've gained (not counting the time taken up by the exercise) 17 extra minutes of life to do whatever you want with. Except watch the TV, of course. That'll work, won't it? That's Science.